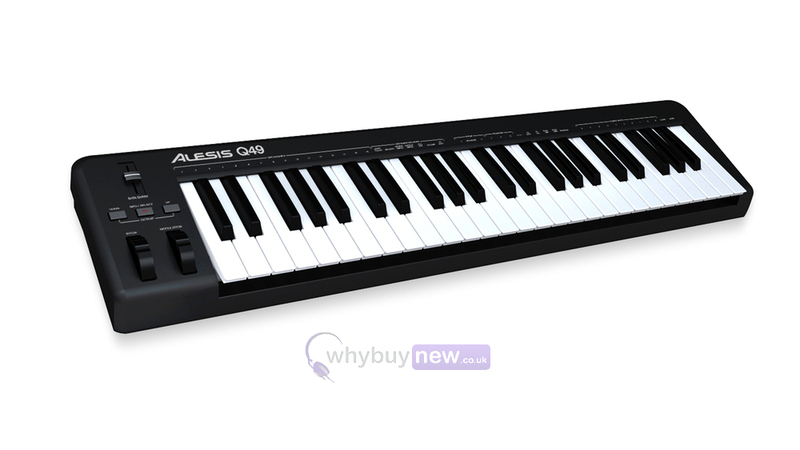 Alesis Q49 is a great value 49-note MIDI keyboard controller from industry experts Alesis. 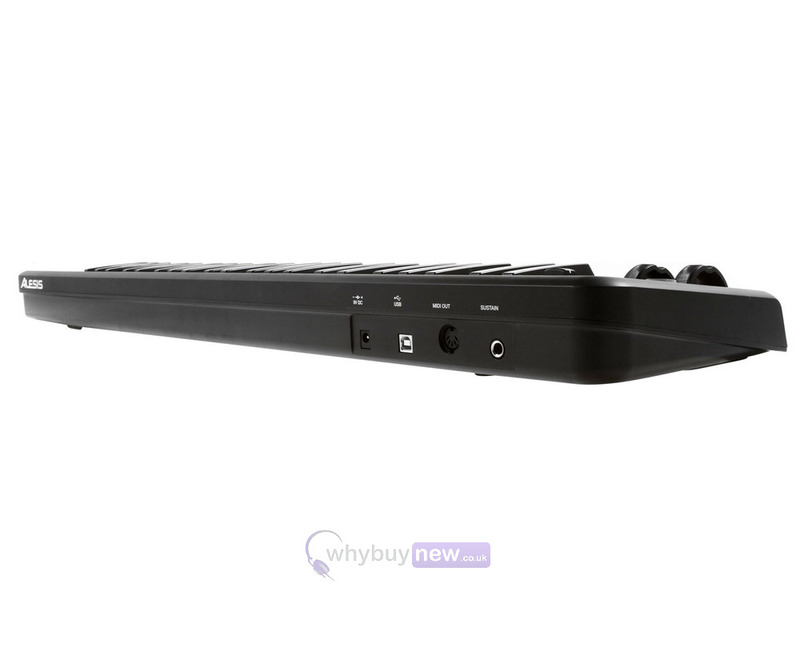 Q49 is compatible with virtually all popular music software and MIDI hardware. 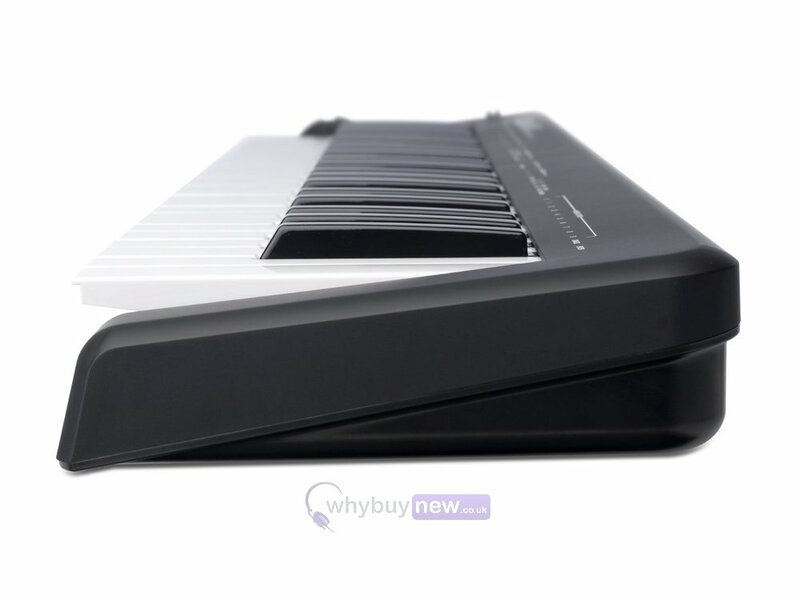 This compact keyboard controller features both USB-MIDI and traditional MIDI jacks for easy connection to Mac, PC and MIDI hardware. 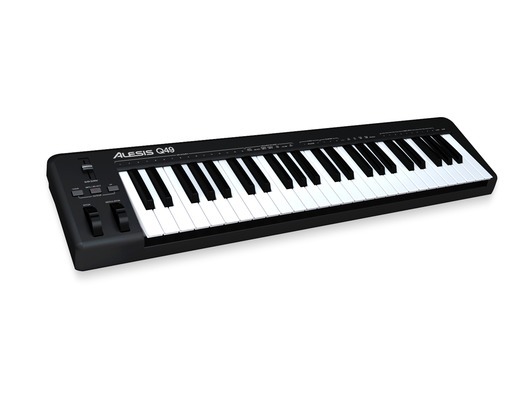 The perfect addition to your home studio, the Alesis Q49 provides keyboard players with a full compliment of controls including pitch and modulation wheels, octave up and down buttons, an assignable data slider, and the ability to send program changes from the keys. Q49 comes with Alesis' own version of Ableton Live Lite software so you can be performing, recording, and sequencing music right out of the box. The Q49 is also the perfect choice for controlling hardware MIDI devices. Its compact size and portability make it ideal for fitting into existing rigs and then hitting the road. Place it a tier above an existing workstation keyboard and utilize Q49's streamlined layout to maximize your sound and performance options. You can even send Program Changes from the Q49's keys to change programs, patches, and more. 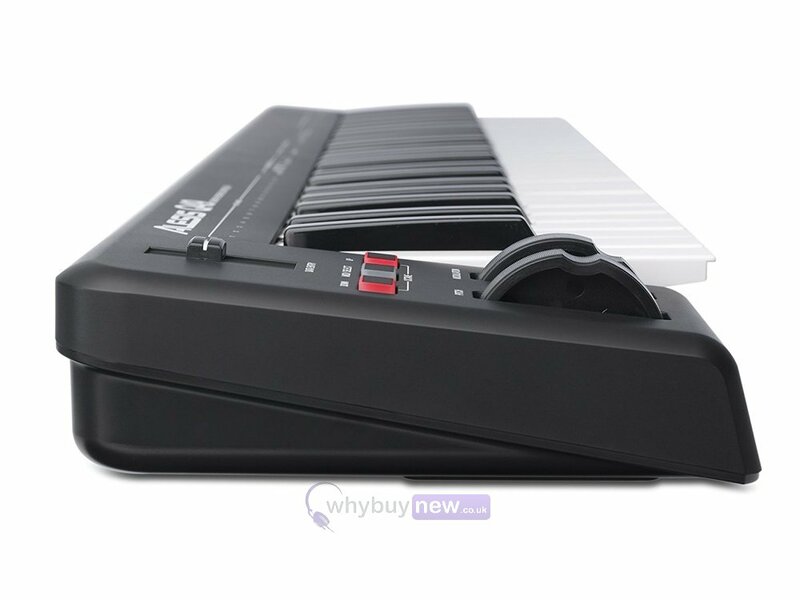 In summary, Alesis Q49 MIDI/USB is compact, affordable, and easy to use making it perfect for both hobby and professional applications and a popular choice with beginners and professionals alike. 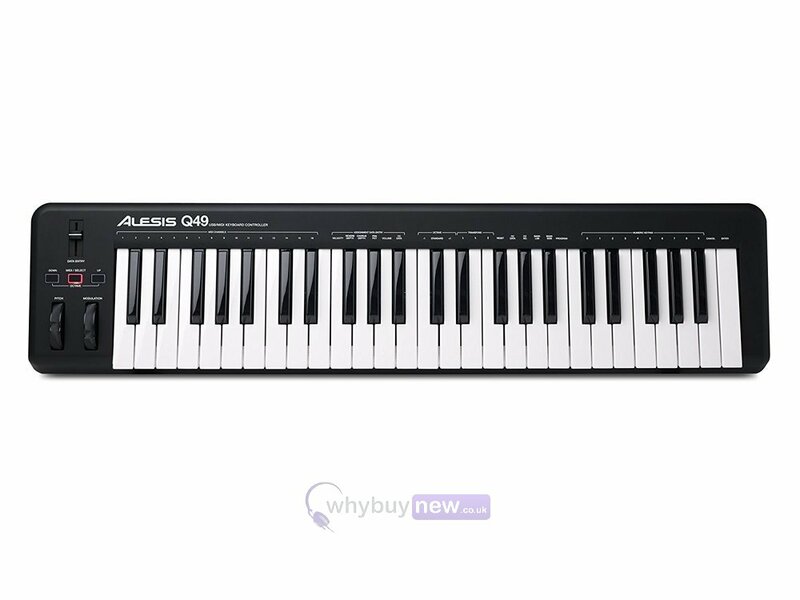 Here we have the Alesis Q49 49-Key USB MIDI Keyboard Controller in brand new condition and in B-Stock. The B-Stock versions would have been on display at a training evening or trade exhibition only and will come boxed 'as new' with all accessories and a 1-year warranty. Not only a superb product, delivered swiftly and securely, but followed through with faultless and personable customer service. (Thanks for your assistance, Mr Clark.) Responsive keys, sensible functionality, useful software - at least for a beginner, but certainly with sufficient broadness for growth. Can't knock the price, either! All in all, I am thoroughly pleased and merrily recommend this keyboard.